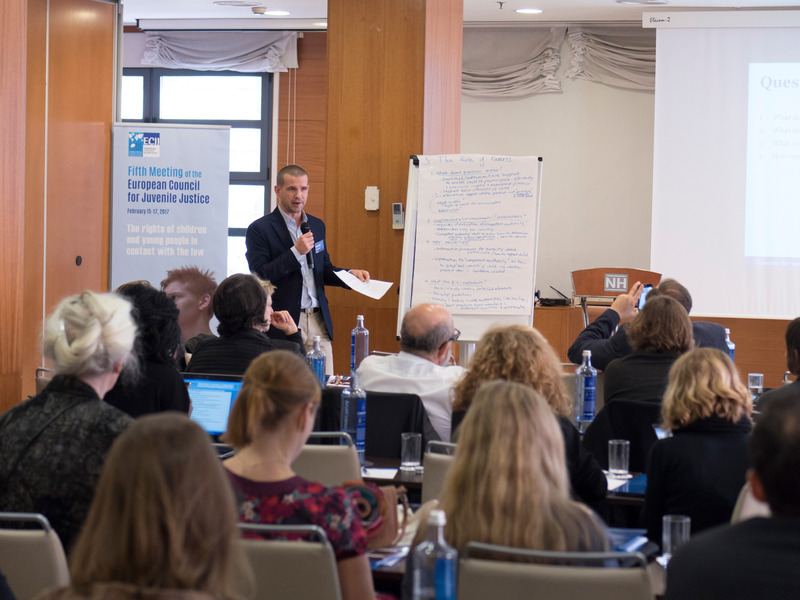 The Fifth Meeting of the European Council for Juvenile Justice (ECJJ) served as a forum for juvenile justice professionals and actors in the field to tackle some of the most pressing issues regarding the protection of the rights of children and young people in contact with the law in Europe, while further developing and planning current and future projects of the Council. 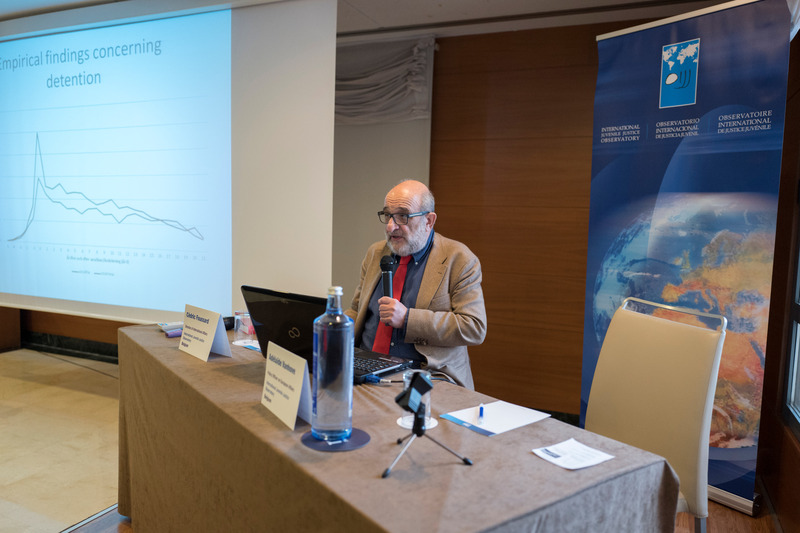 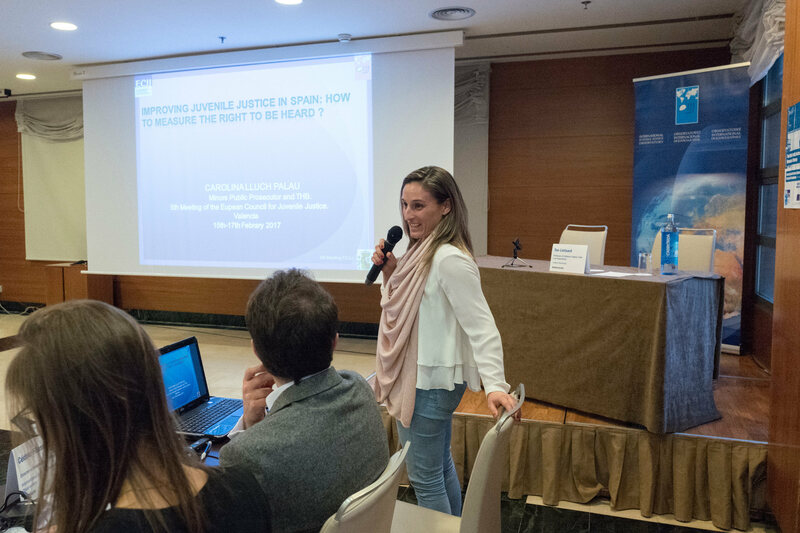 It was held in Valencia, Spain, from Wednesday the 15th to Friday the 17th of February 2017, organised by the International Juvenile Justice Observatory (IJJO), with the support of IberCaja Obra Social and Bankia. 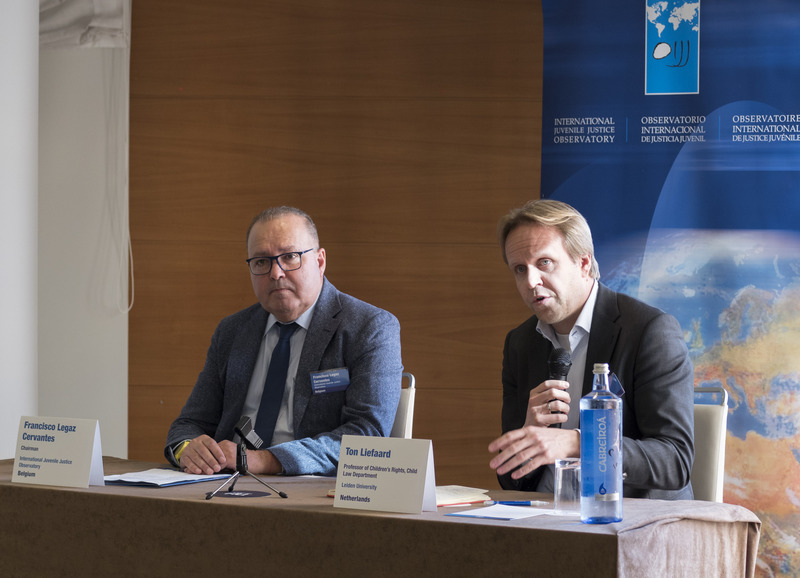 The meeting was kicked off on Wednesday afternoon with a welcoming speech given by the IJJO Chairman, Francisco Legaz Cervantes, and Ton Liefaard, of Leiden University. 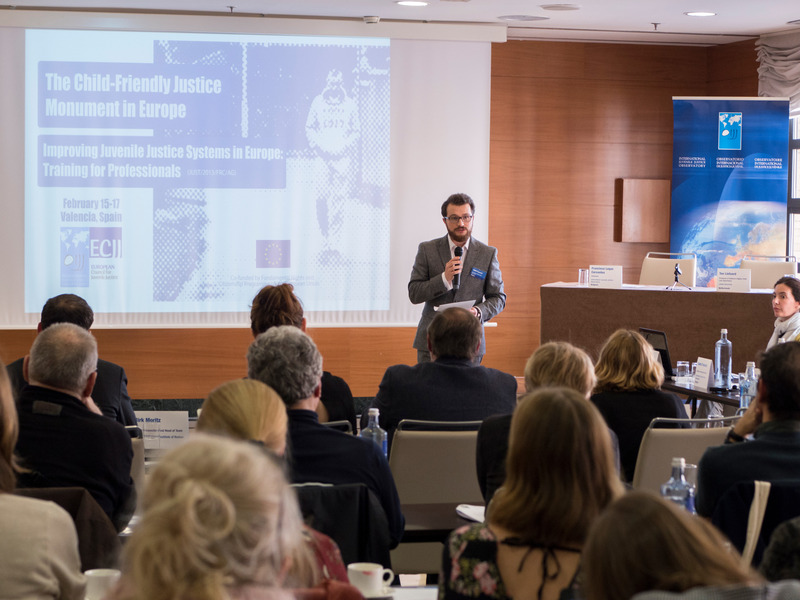 Following this, the first day of the meeting focused on the IJJO led EU project ‘Improving’, which trains professionals on best practices for child-friendly justice, and has 10 ECJJ members partnered. 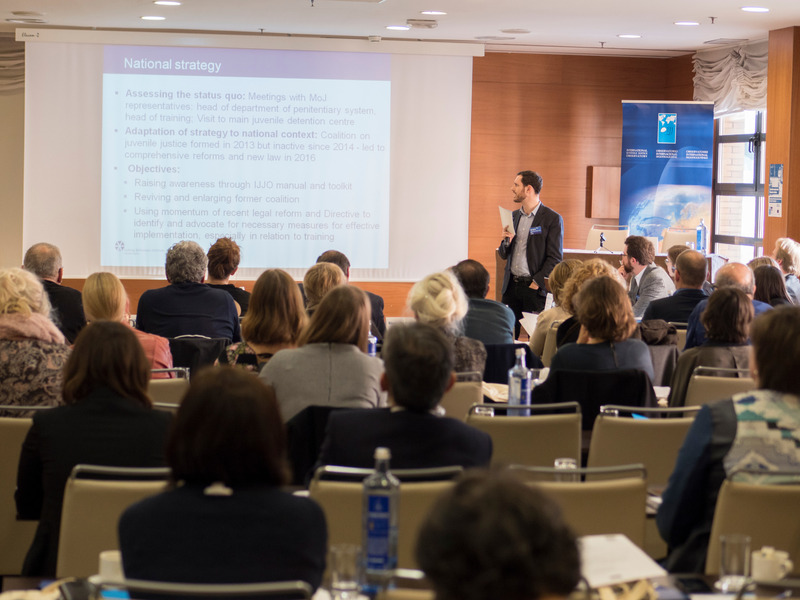 There were presentations and discussions throughout the day evaluating the success of the project at a national and regional level. 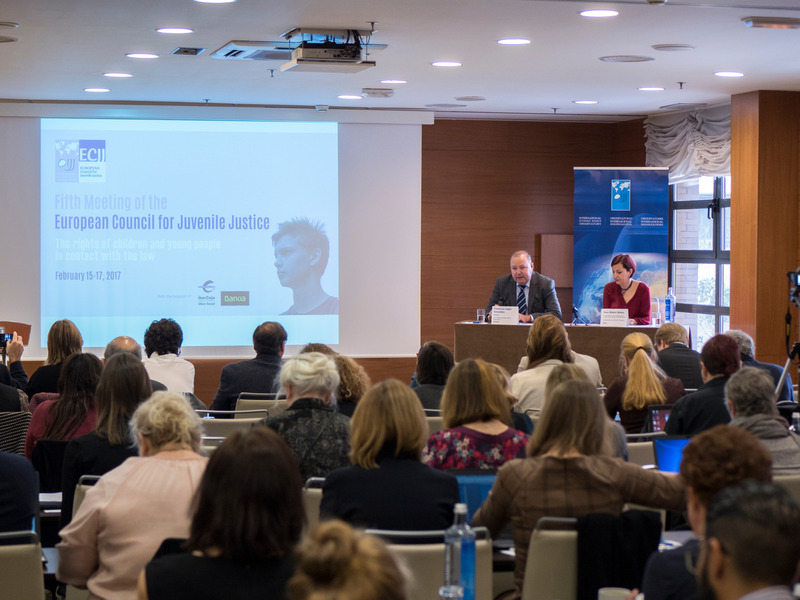 The ECJJ meeting was officially introduced on Thursday morning by the IJJO Chairman and Rosa Molero Mañes, Director General for Children and Adolescents of the Autonomous Government of Valencia, before a plenary session tackling child-friendly justice priorities for 2017-2019 in Europe, presented by Valentina Boz (HELP Programme, COE) and Anna Markina (Tartu University, Estonia). 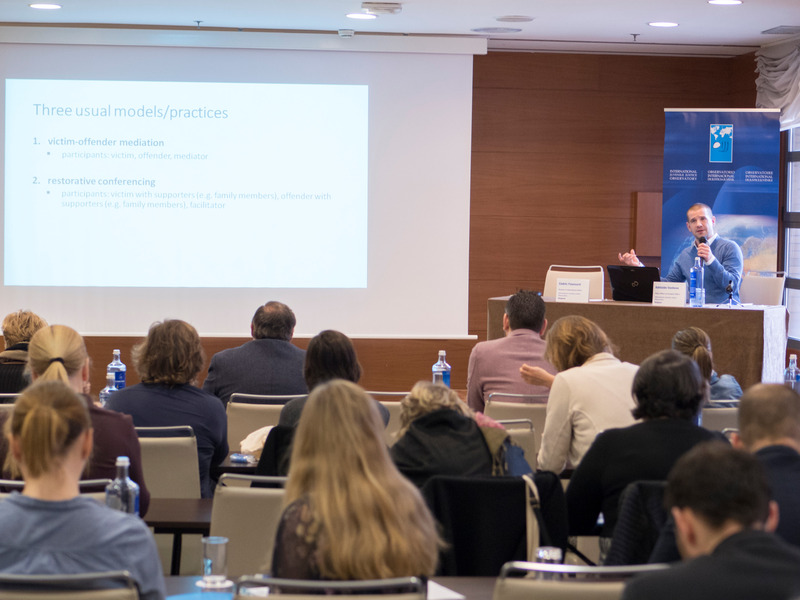 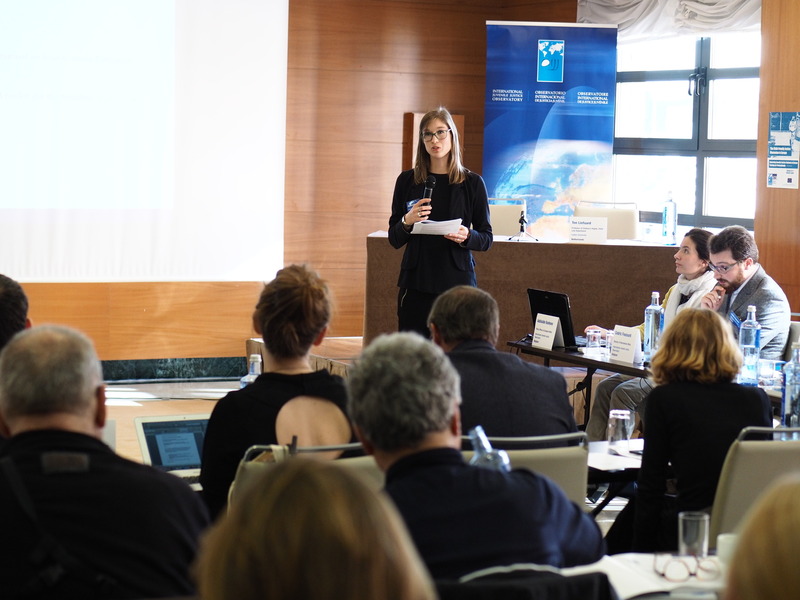 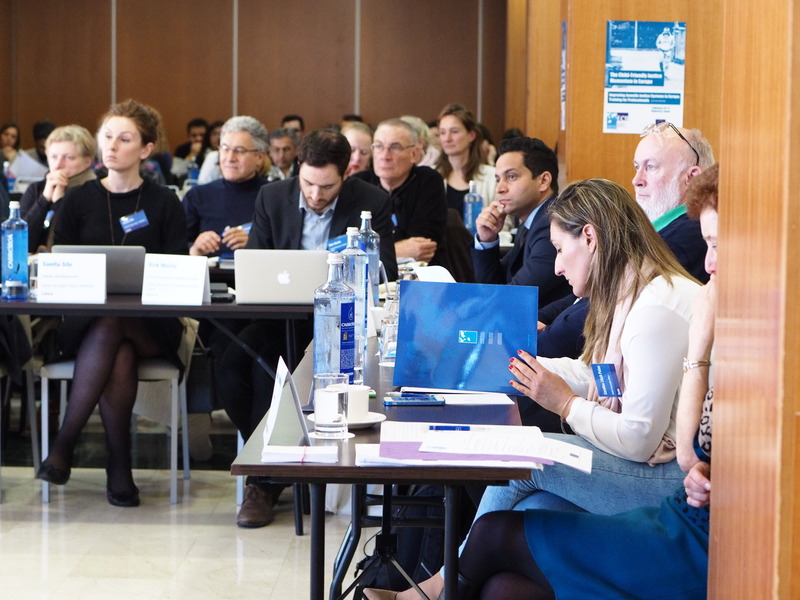 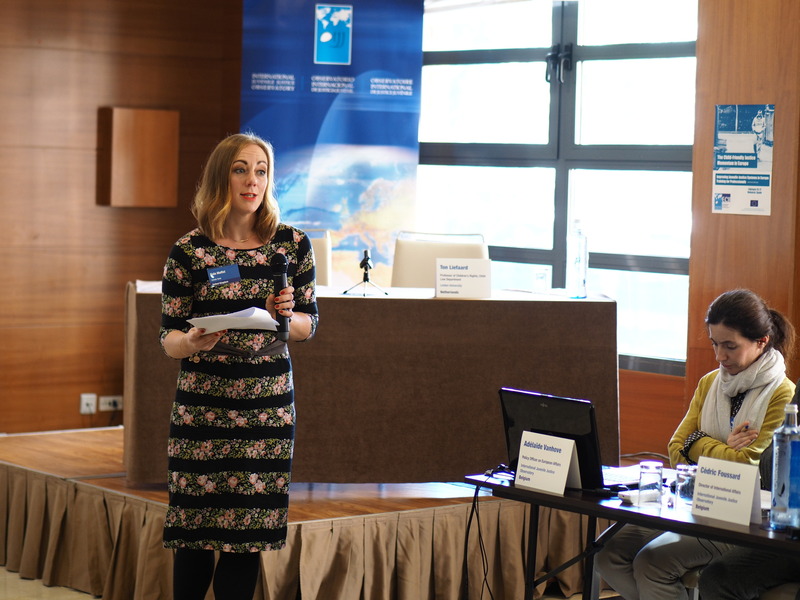 Following this, the IJJO European Affairs Manager, Adélaïde Vanhove, and the Director of International Affairs, Cédric Foussard, presented an overview of ECJJ operations since 2014, as well as new members who have joined since then, who also introduced themselves. 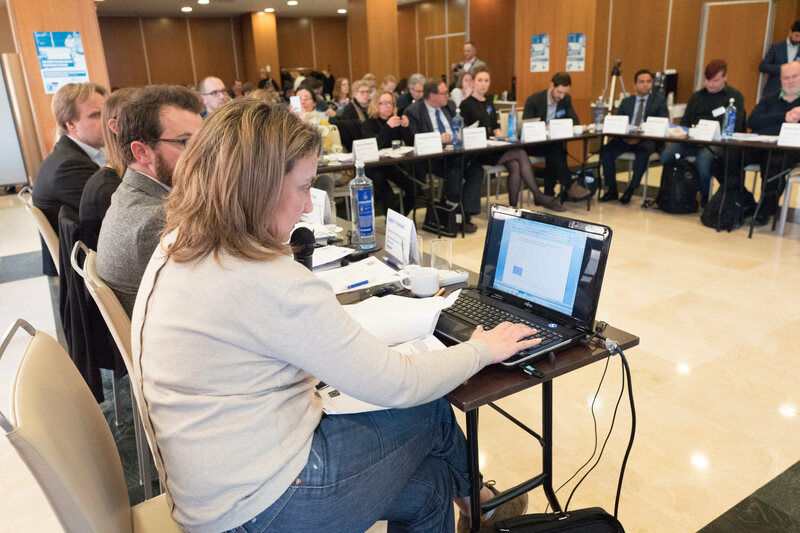 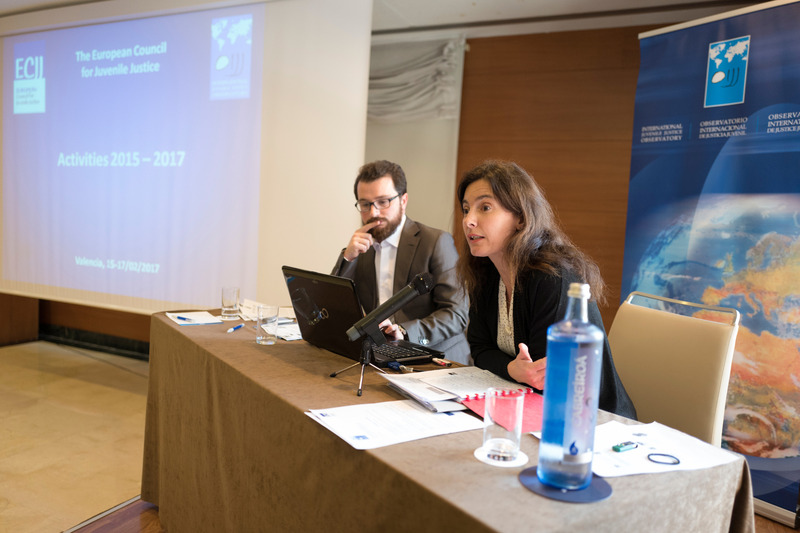 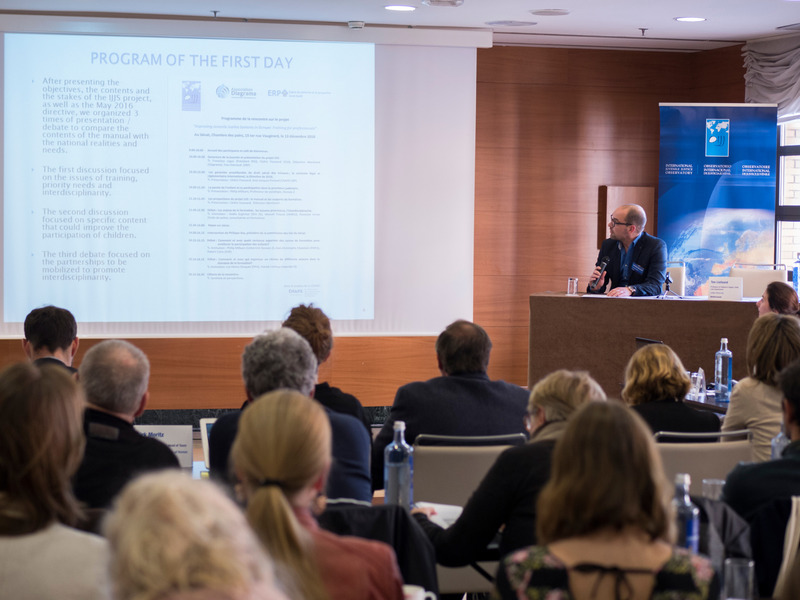 The present and future operations of the ECJJ were then presented in this comprehensive overview, and concretely the roadmap of the Council for the period 2017-2019. 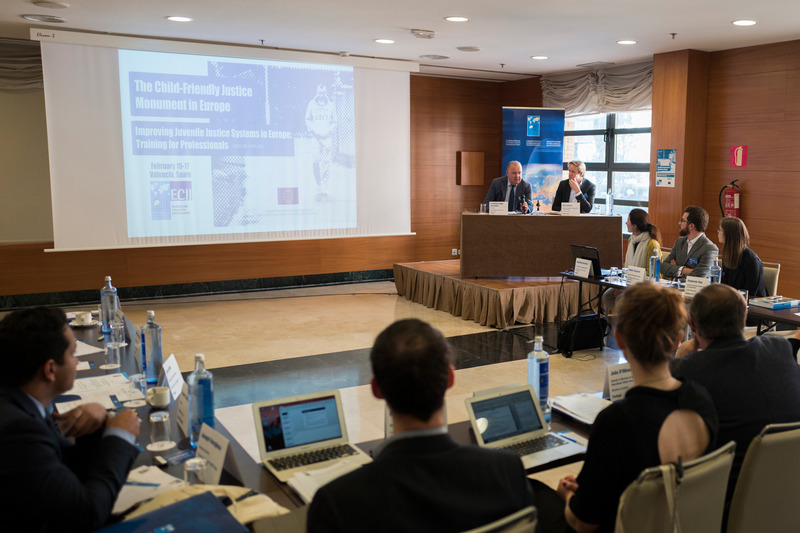 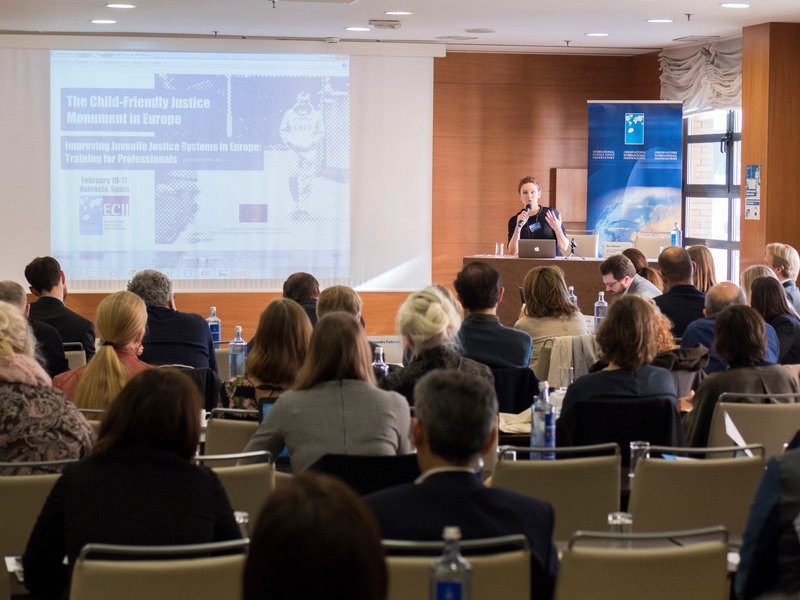 In relation to this, one of the main focuses of the meeting was the discussion of the effective implementation during this period in EU Member States of the recently adopted Directive 2016/800/EU on procedural safeguards for children accused or suspected in criminal proceedings. 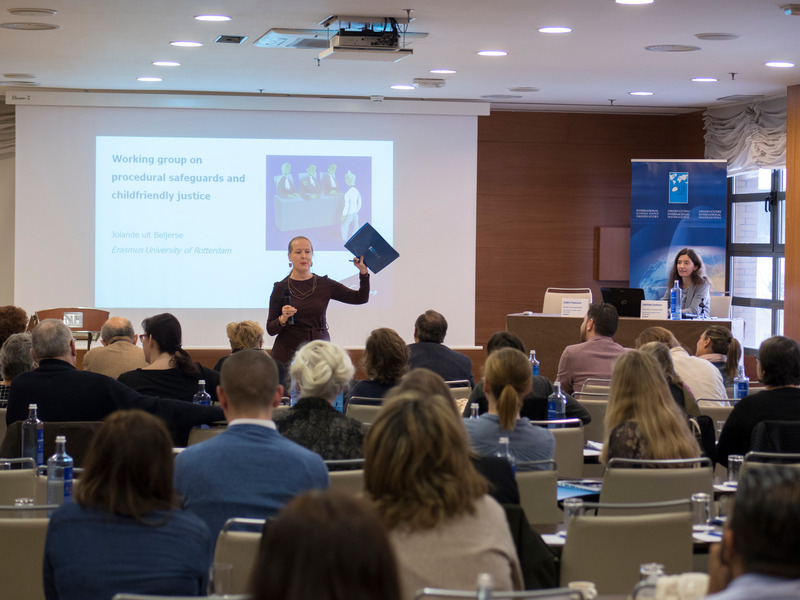 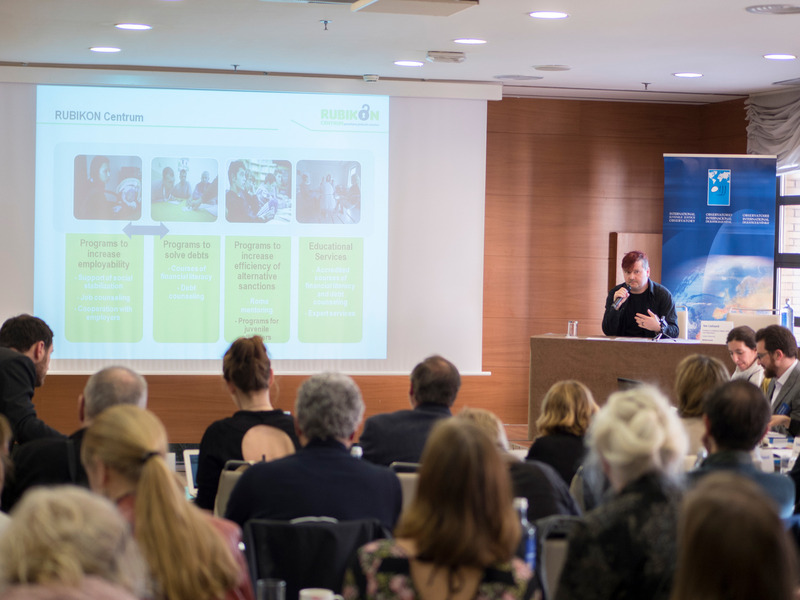 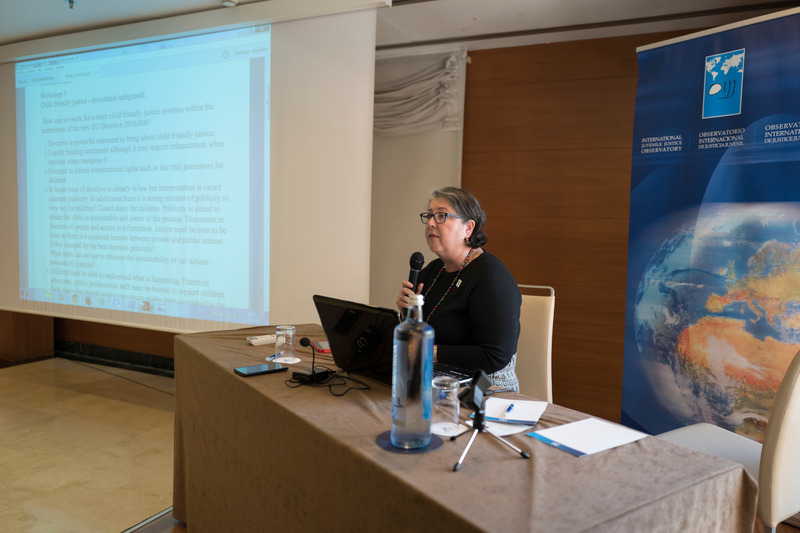 Libby McVeigh (Fair Trials International), and Ton Liefaard with Stephanie Rap (Leiden University) gave presentations on child-friendly justice in the framework of this new Directive. 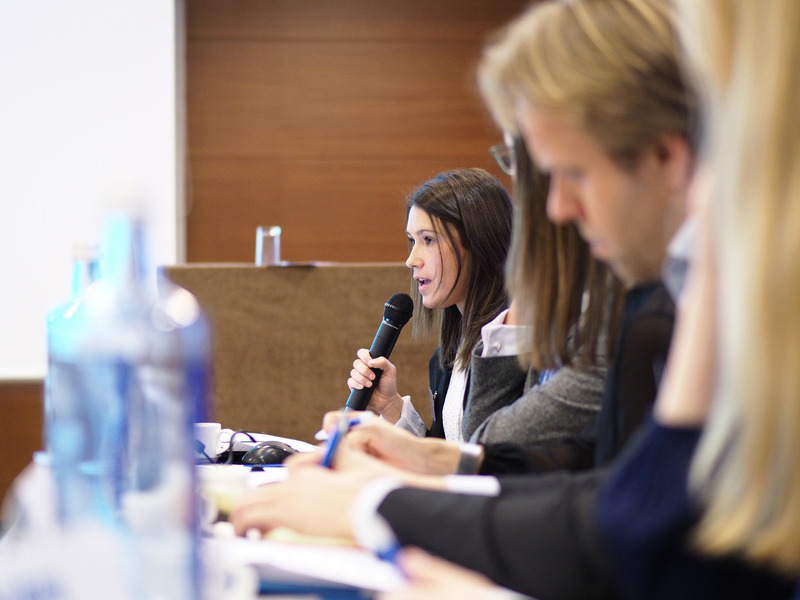 Leading on from this, the two academics from Leiden University requested ECJJ members to participate in a group dynamic to produce input on this subject, which shall be released as a white paper focusing on the Directive. 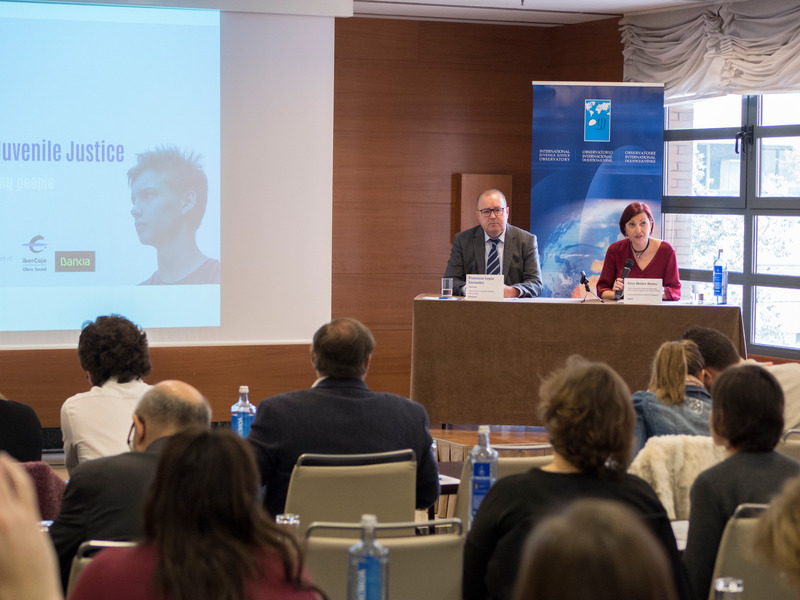 Following a morning of presentations, a field visit was organised to the 'Pi Gros' youth detention centre (Castellón province), dependent on the Council for Equality and Inclusive Policies of the Autonomous Government of Valencia, and managed by Fundación Diagrama. 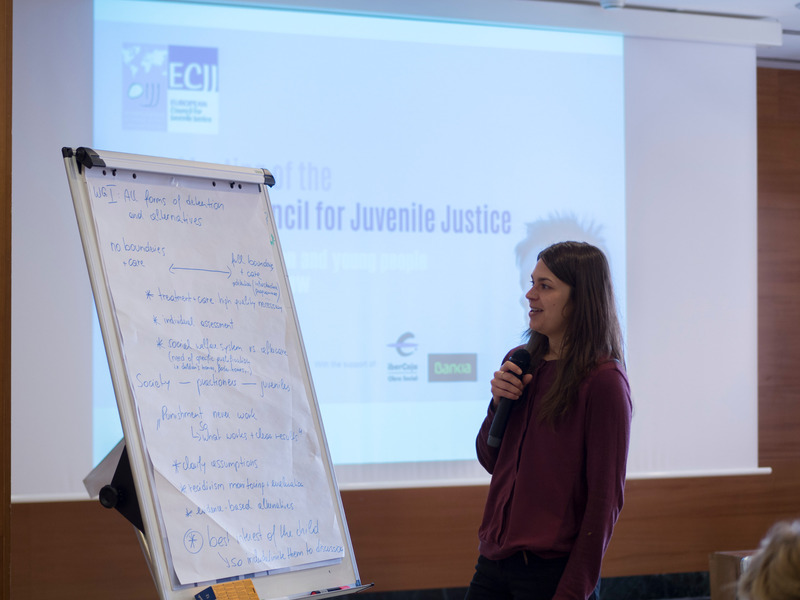 The field visit allowed participants to observe an example of good practices being put into practice in the context of a juvenile detention centre, in accordance with the recommendations of the IJJO project 'Improving'. 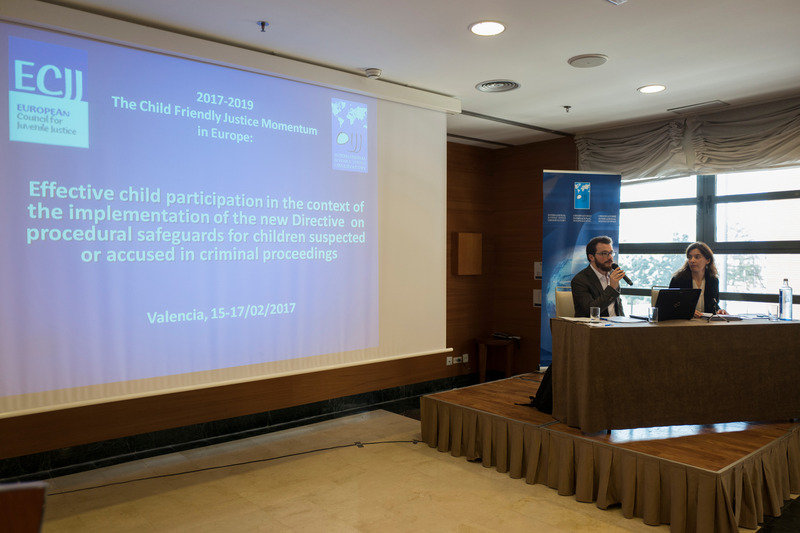 These include the application of European and international standards, as well as best practices, regarding subjects such as effective participation of children, their right to information, communication skills of the staff with the child, the role of parents during pre- and post-trial detention, among others. 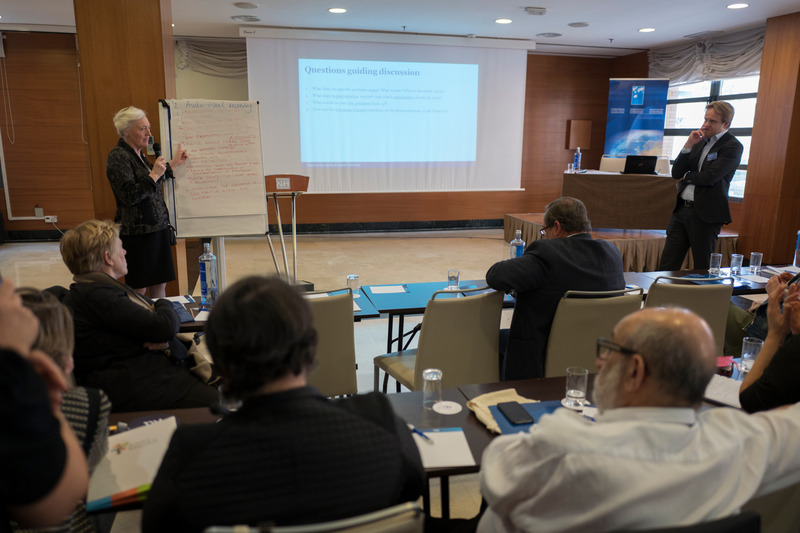 The final day of the meeting was a working groups dynamic, as members worked together on four specific subjects in research and advocacy. 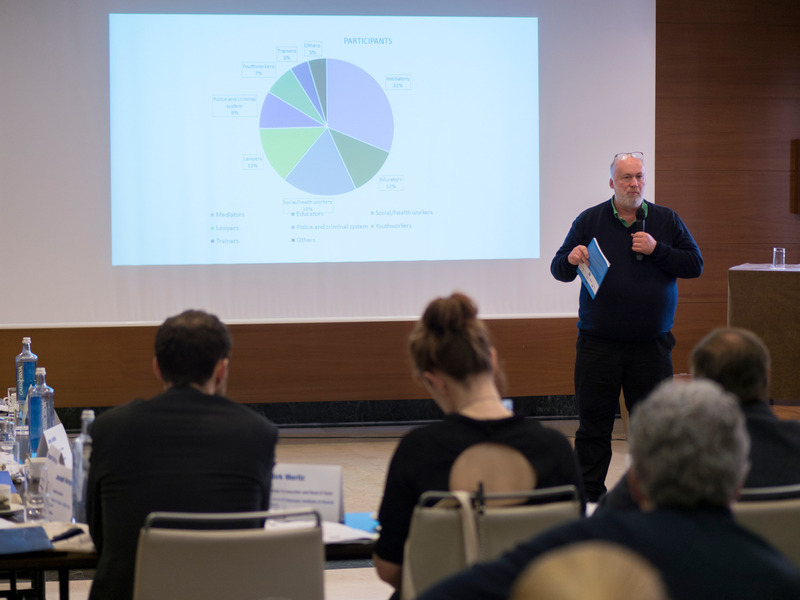 Firstly, the working groups were introduced by relevant esteemed professionals, during which an overview of the subject was offered. 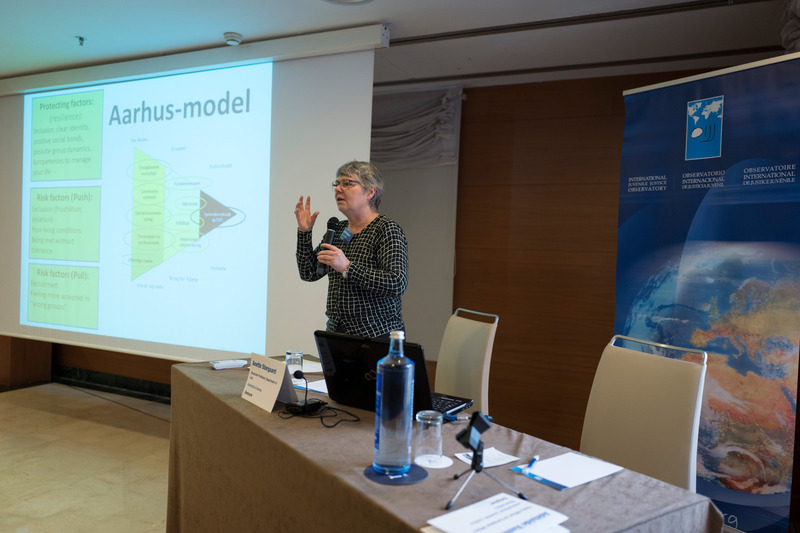 Jerzy Sarnecki (Stockholm University) introduced the group on all forms of detention and alternatives, while Neven Ricijas (University of Zagreb) opened the group on restorative approaches, Jolande uit Beijerse (Erasmus University Rotterdam) the group on procedural safeguards and child friendly justice, and finally Annette Storgaard (University of Aarhus) introduced the group on countering violent extremism. 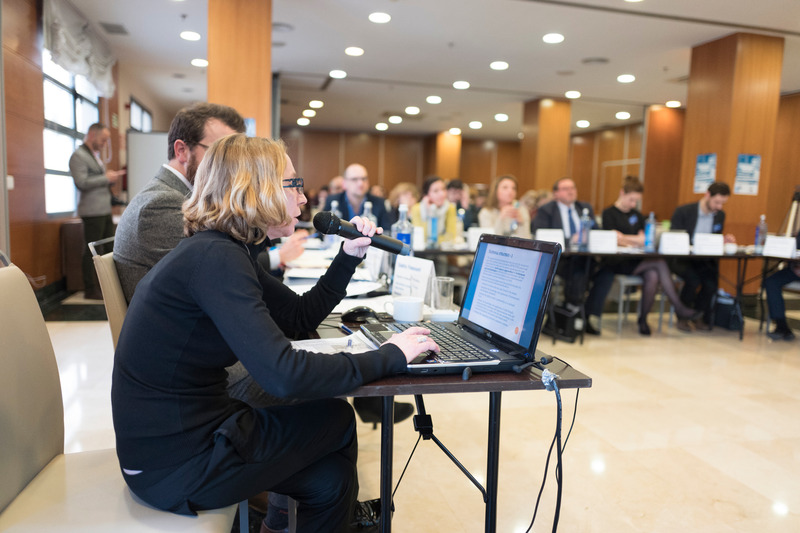 Following these introductions, participants were split into the four working groups and simultaneously allowed time to hold a group meeting. 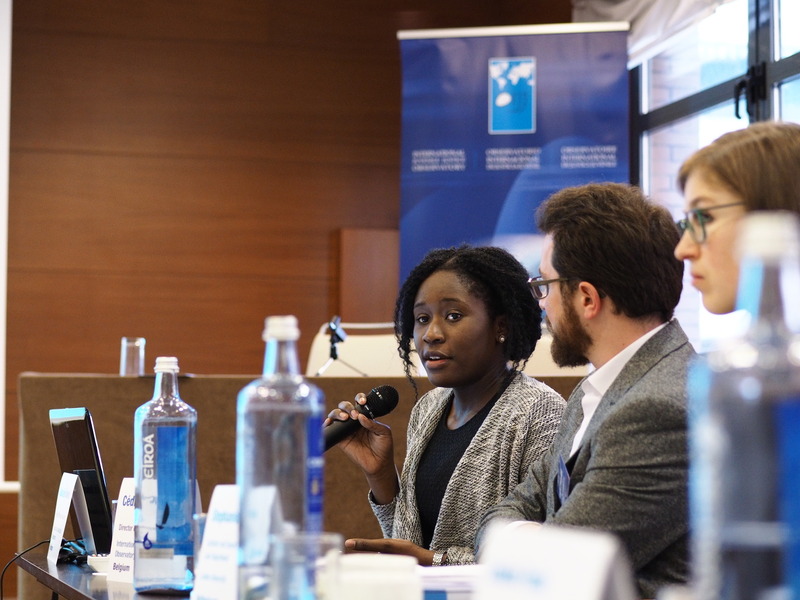 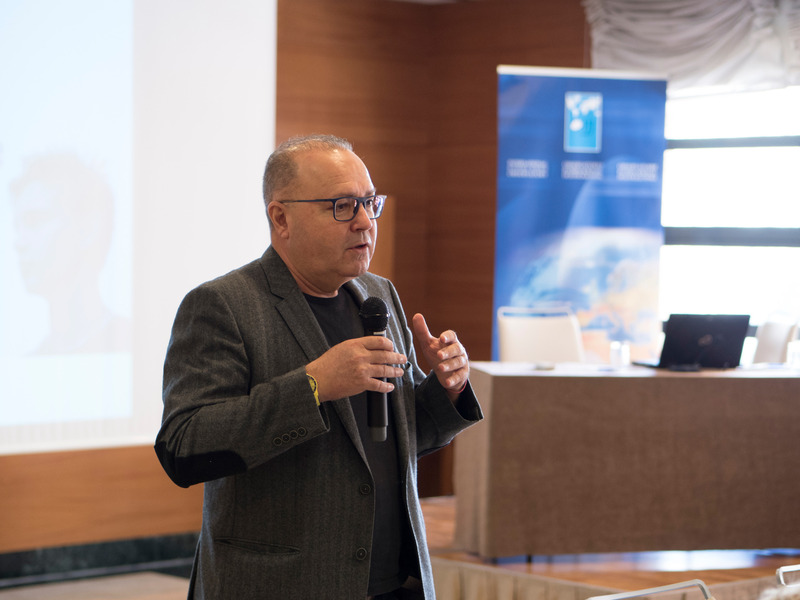 Participants were able to work through the relevant issues with lively debate as a result of the diverse international backgrounds of the professionals in attendance. 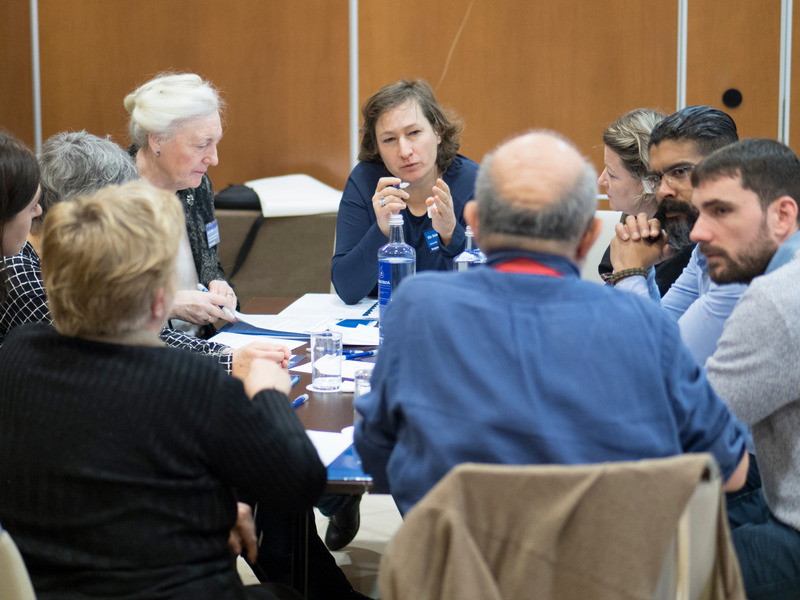 The working groups then came together, with rapporteurs from each group offering a short overview of their meeting, as well as the conclusions and observations reached. 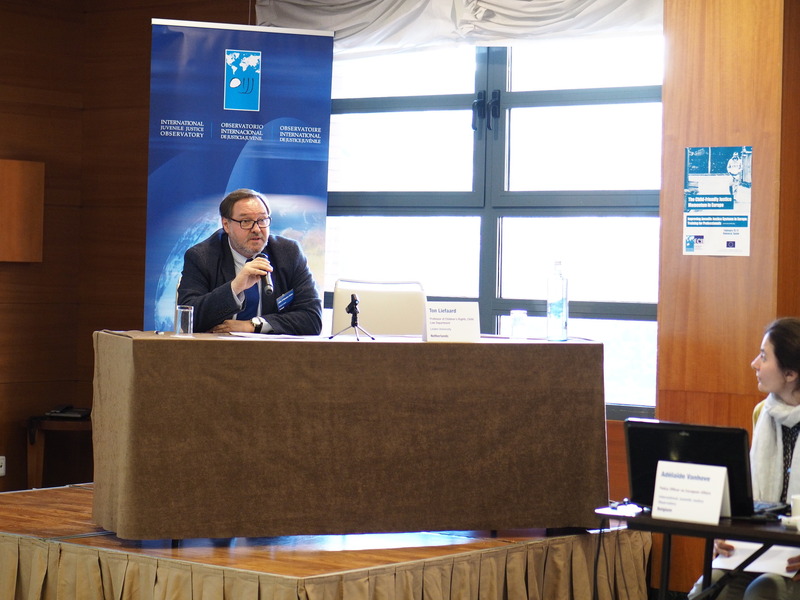 The meeting was closed by the IJJO Chairman with great thanks to all the professionals, whose input during the meeting will greatly contribute to the joint work of this Council in its next phase.